MY NAME IS IDA GOECKEL AND I AM A TWO TIME BREAST CANCER SURVIVOR. INITIALLY IN 2003, ROSWELL PARK CANCER INSTITUTE’S BREAST CARE CLINIC AND RADIOLOGY STAFF PROVIDED ME WITH CARING, COMPASSION TREATMENT THAT GAVE ME HOPE FOR A NEW FUTURE. IN AN EFFORT TO SHOW MY GRADITUDE, I ORGANIZED THE FEMALE MUSICIANS FIGHTING BREAST CANCER BENEFIT. AFTER 9 YEARS BEING CANCER FREE AND CONFIDENT I WAS “OUT OF THE WOODS”, I WAS RE-DIAGNOSED IN APRIL OF 2012. ROSWELL ONCE AGAIN WAS THERE FOR ME. AND SO THIS YEAR, NOT ONLY ARE WE MARKING THE 11TH YEAR OF THIS BENEFIT, BUT ALSO ANOTHER PERSONAL HURDLE OF SURVIVORSHIP. MY MOST RECENT EXPERIENCE IS THAT IN MAY OF THIS YEAR, I TESTED POSITIVE FOR THE BRCA-1 GENE MUTATION. THIS PRESENTS ME WITH NEW CHALLENGES AND TREATMENT OPTIONS, WHICH I AM FACING WITH SAME ATTITUDE THAT HAS GOTTEN ME THIS FAR. I AM VERY GRATEFUL FOR MY SUPPORTIVE FAMILY AND FRIENDS WHO RESPECT MY DECISIONS ALONG THE WAY. IT HAS BEEN MY DISTINCT HONOR TO HAVE FOUNDED THIS BENEFIT AND I PROMISE YOU MY EFFORTS WILL NEVER STOP AS LONG AS THERE ARE BREAST CANCER PATIENTS AND SURVIVORS WHO RELY ON THE KNOWLEDGE, RESOURCES AND SUPPORT OF THE WNY BREAST CANCER RESOURCE CENTER AT ROSWELL PARK. I HAVE MADE IT MY MISSION TO RAISE MONIES THAT GO DIRECTLY TO THIS SPECIFIC AREA AT ROSWELL. PATIENT CARE, COUPLED WITH SELF-ADVOCACY AND EMPOWERRMENT IS JUST AS IMPORTANT AS RESEARCH TO FIND A CURE. 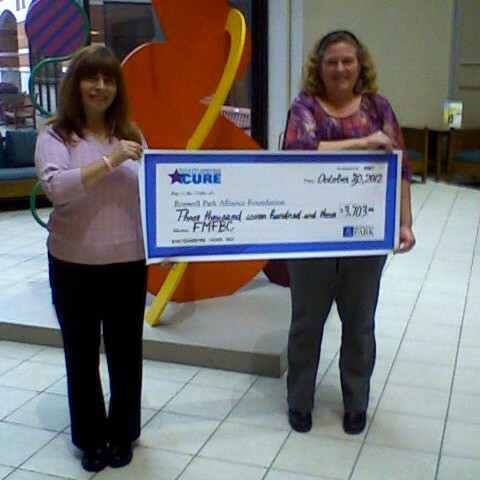 OVER THE PAST 10 YEARS, WE HAVE BEEN ABLE TO RAISE OVER $21,000.00. IT GOES WITHOUT SAYING THAT I DON’T PUT A FUNDRAISING AND AWARENESS ENDEAVOR LIKE THIS TOGETHER ALL BY MYSELF. I VIEW MYSELF AS MERELY THE FACILITATOR THAT WATCHES AS HER IDEA BLOOMS EVERY YEAR. THIS FUNDRAISER RECEIVES NO FINANCIAL CORPORATE SPONSORSHIP, BUT IT IS A COLLABORATIVE COMMUNITY SPONSORED EVENT BY ALL THOSE WHO HAVE A HAND IN MAKING IT HAPPEN! NONE OF THIS WOULD BE POSSIBLE WITHOUT THE HELP AND SUPPORT OF THE FOLLOWING PEOPLE, WHOM I’D LIKE TO TAKE THE TIME NOW TO THANK FROM THE BOTTOM OF MY HEART. 2. VINNY LESH -OWNER/MANAGER THE FORVM FOR HIS GENEROSITY IN DONATING HIS VENUE, SOUND, AND LIGHTS AS WELL AS SEVERAL AMMENTITIES/GUIDANCE TO ENSURE THE EVENING WENT SMOOTHLY. HE WAS A PLEASURE TO WORK WITH. ALSO DILLAN ON SOUND AND LIGHTS! GREAT JOB! 3. 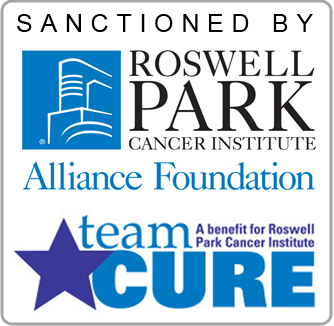 ROSWELL PARK’S ALLIANCE FOUNDATION AND TEAM CURE/JULIA HARVEY – FOR THE SANCTIONING OF THIS EVENT AND HELP WITH PROMOTIONS AND DECORATIONS. 6. TO ALL THE PERFORMING BANDS: TRIPLE THREAT, SILVERX-TREME, THE YVONNE SCHMIDT BAND, AND RUMOURZ! WHAT A GREAT, SUPPORTIVE, SELFLESS, TOP NOTCH LINEUP OF TALENT!! 7. KATIE HILDRETH/NOIZEPRO.COM-THIS YEAR’S OUTSTANDING POSTER DESIGN AND WEB SITE DESIGN AND MAINTENANCE, FACEBOOK PAGE AND PROMOTION. 8. MATT SCHREINER AND COLLEAGUE- FROM GOING 4 LIFE APPAREL FOR DONATING A PORTION OF THE SALES OF THE PINK RIBBON T-SHIRTS BACK TO THE BENEFIT! 9. LA FITNESS- FOR THEIR SUPPORT IN SETTING UP A BOOTH TO HELP PEOPLE GET HEALTHY AND FOR PROVIDING FREE GIVEAWAYS. Tops Markets, Terrie/Terrie’s Workout, Joe/Allentown Music, Dave/Generations Music, Jayme/Guitar Factory, Chip/Guitar Center, Vince/Music City, Nadine Mackey (& SASI staff Mo and Joe), Dawn Cody (Goodwill), Barry/Terrapin Station, Phobes/Virgil Tobacconist, Catherine Grace& family, Margaret Freiert, Lisa Stewart, Bernard Gordon, Jan (Zemke)Wood, Natalie Deluca (ACCES-VR), Vanessa Rehac/printing, Robin/Record Theater, Empire Grill, Carolyn/Hard Rock Café, Madd Tiki Tatoo, Joelle Brown, Bill Bates/drum backline, Bomi Jewelers, Martin/The Gourmet Store, Elwood Fire Protection, Jenifer/The Healing Heart, Mary/The Phoenix, Ed/Nightlife Magazine/promo, Seamus Gallivan/The Good Neighborhood/promo, Going/4 Life/Matt/Sabres jersey, La Pizzeria, Bonnie Mertz, and Spiral Scratch. 11. MICHAEL MIETLICKI OF STUDIO 112 PHOTOGRAPHY FOR DOCUMENTING THE DAY. 12. AND THE AUDIENCE, THE CARING PARTICIPANTS, WHO TOOK THE TIME OUT TO ATTEND TODAY TO SUPPORT A GREAT CA– — USE, WITH MUSIC AS THE UNIVERSAL LANGUAGE THAT BROUGHT US TOGETHER FOR ANOTHER SUCCESSFUL YEAR!